Here is an opportunity to be the part of Zebronics Family for which we require the following skill set . – Mainly responsible for Compliance’s with respect to the Company Law and includes convening and conducting Board Meetings and General Meetings. Acting as custodian of all the statutory registers of the Company, liaisoning with all statutory authorities, banks and other stakeholders. – Timely filing of disclosures and periodical reports with Statutory Authorities, co-ordination with ROC, RBI as well as Inter departments, Secretarial Auditors, Internal Auditors and Statutory Auditors. – Specializes in drafting and reviewing contracts, agreements and other legal documents. 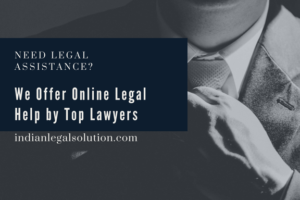 – To liaison with lawyer for any legal issues and reviews/draft legal opinions, agreement, contracts, property related documentations and other briefing. Candidates pursuing CS/legal and minimum 2 years of relevant experience are eligible. Experience required in secretarial function / compliance functions in large or medium size organizations. If the job profile sounds challenging & exciting then do walk in and explore the opportunity.